I've been going to Toys R Us every week for the past month, trying to find something new and exciting to review. 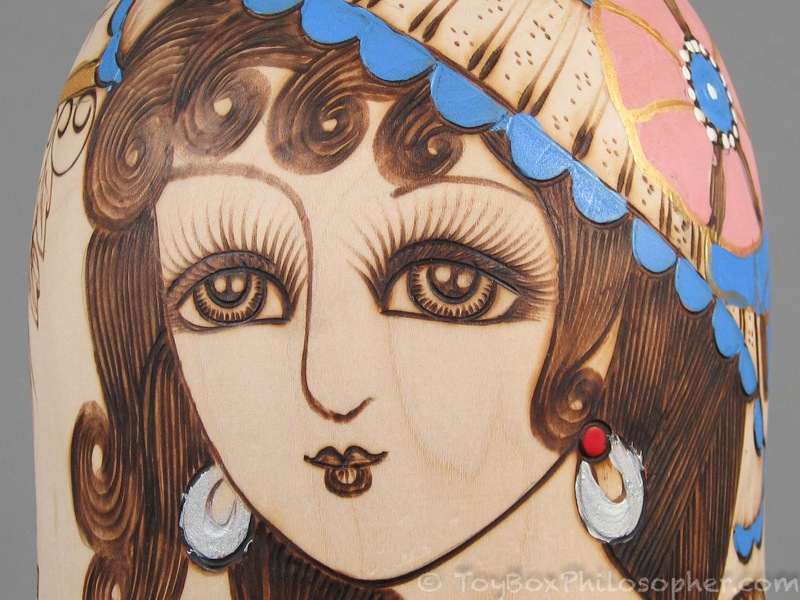 This is often a slow time of year (after the holidays but before summer) for new doll releases. In fact, I've been noticing absences from the shelves more than additions: Bratz dolls have been discontinued and are gradually disappearing, the Journey Girls have been replaced by American Girl, Winx Club dolls--and their Make it Pop imitators--are gone, and although Cabbage Patch Kids are still around, they look really different under the Wicked Cool Toys label. Amidst all of these changes, evidence suggests that Mattel might be doing well--recovering from their multi-year financial slump. I don't have a lot of data to support this, but the Toys R Us doll section in South Portland is certainly dominated by Mattel these days: there's Barbie, Ever After High, Monster High, My Mini MixieQ, DC Super Hero Girls, Loving Family...and of course the whole American Girl mini-store. The only chink in Mattel's armor seems to be the fact that Hasbro scored the Disney Princess license. Endless Hair Kingdom Barbie, $24.99. This is my second comparison review of dolls from the new live action Beauty and the Beast movie. 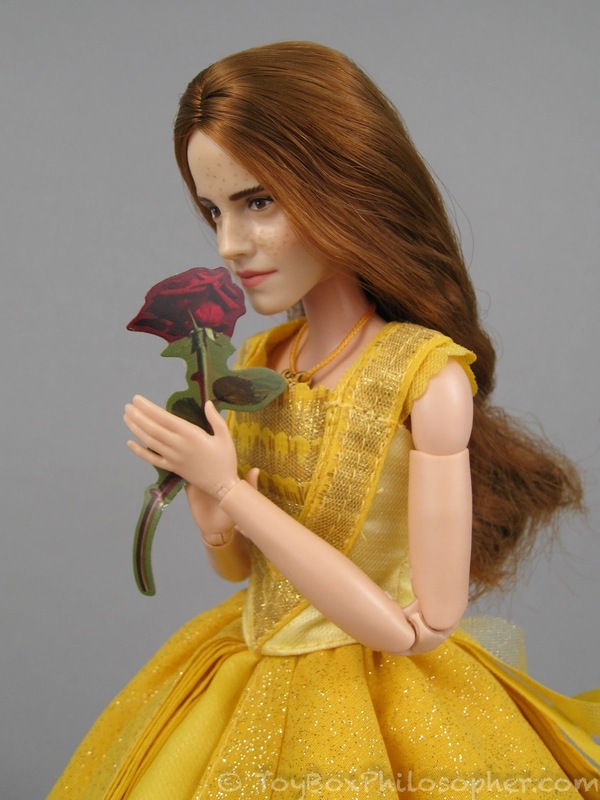 You can find my review of the Hasbro and Disney Store Belle dolls here. 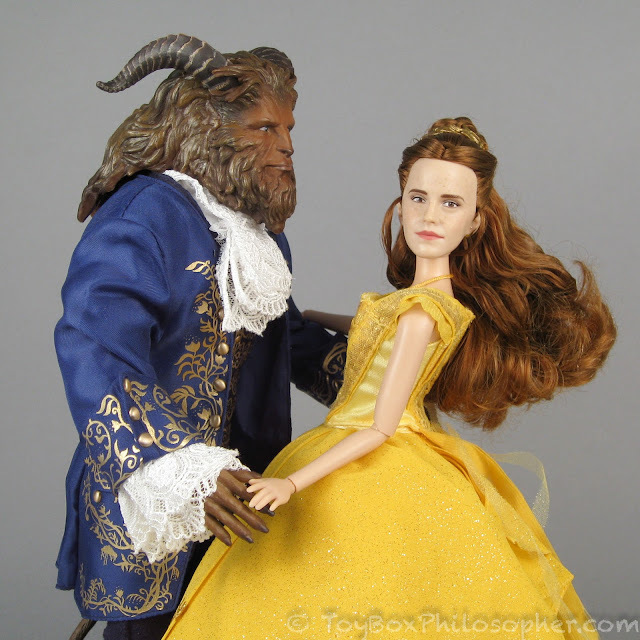 I was much more excited about the Beast dolls from these two companies than I was about the Belle dolls--in part because of the underwhelming promotional pictures of the Disney Store's Belle, but also because the Beast is simply a more unique, intriguing figure. The Beast and Belle from the Disney Store, $34.95 each. For more than a decade, Easter has started (bright and early!) in my house with an egg hunt and an epic treasure hunt. I used to spend all Saturday making clues for the hunt...clues that my dynamic treasure hunting duo would solve in under an hour (baskets of candy are powerful motivators, I guess). This year, with one kid off at college and the other with a new-found love for sleeping in on Sunday mornings...well, Easter is off to a quieter start. I overcompensated for this change by trying to pack way too many things into today's Sunday Surprise. I have an odd mix of surprise-themed things to share with you: some Li'l Woodzeez blind bag bobblehead figures, a Matryoshka nesting doll (with a mystery number of smaller dolls inside!) and some vintage Holly Jolly baby-filled eggs by Zapf Creation. Last year, when I was re-thinking this blog and figuring out how to keep it in my life, I made a few resolutions. 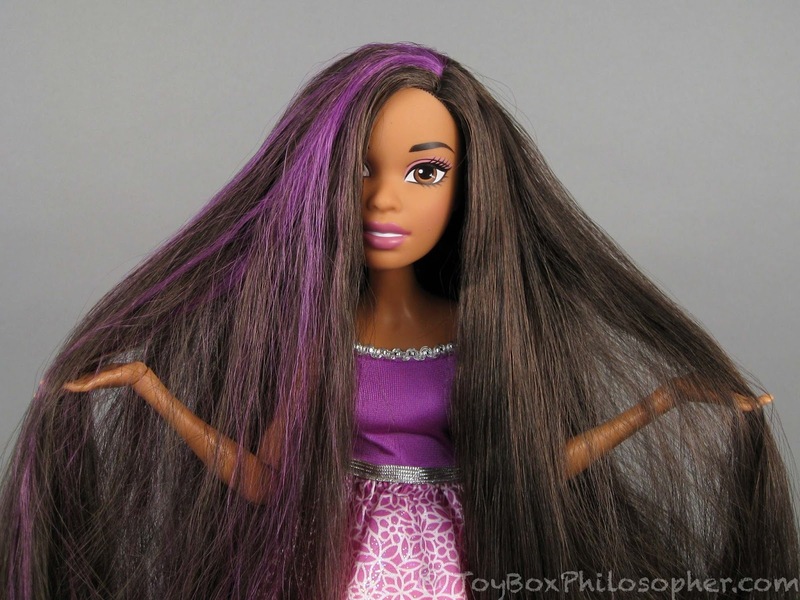 One of them was that I would never feel obligated to buy another Disney Store doll. Why? Well, when I first started collecting these dolls (back in 2012), I was blown-away by the high-quality product that Disney could offer for under $13. Over the years, though, the dolls have suffered a lapse in quality and an increase in price…to the point where I started feeling bad every time I made a Disney Store purchase. Beauty and the Beast's Belle from the Disney Store, $34.95.